The Inter-American Convention of Human Rights contains an in-depth analysis and comment on five basic rights protected under the Inter-American Convention of Human Rights in the light of the decisions of the Inter-American Court of Human Rights, namely the rights to life, to personal freedom, to personal integrity, to due process of law and to a judicial remedy. Violations of these basic rights formed the majority of complaints before the Court at a time when many of the contracting States had either just left, or were still immersed in a dictatorship. In addition to the analysis of the Inter-American Court's judgments on these rights, the European and the universal jurisprudence have also been taken into consideration; both the European Court of Human Rights and the Human Rights Committee of the United Nations started their activities much earlier. For the analysis and interpretation of the five basic rights use has been made of the travaux preparatoires of the Inter-American Convention, mainly to show the lack of professionalism shown by the drafters during the debates and the lack of information in the minutes of the Specialized Convention. This book covers the first fifteen years of the Court's jurisdiction until 2003. Since then the Court has greatly advanced, however the author wishes those years to stand alone and not to disappear into the more sophisticated issues that started to reach the Court at a later stage. This book will show the reader the hesitant steps of the Court in developing its position on the five basic rights and also poses many questions upon which the Court should reflect in future cases and criticises some of its judgments for their shortcomings and lack of consistency. Those States where unseemly rules and practices regarding these rights prevailed reacted in a very negative way towards the Court's jurisdiction. 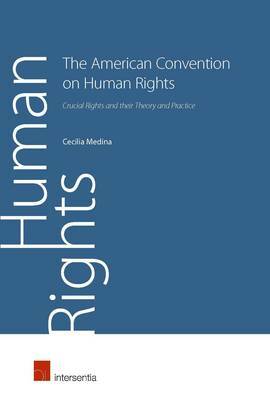 The Inter-American Convention of Human Rights is a scholarly yet practical book on a relatively new system for the protection of human rights. It is a useful tool for practitioners to support their work in this field of law and also a valuable resource for scholars, inviting them to engage in a valuable intellectual but by all means practical discussion.